Jason Rogers, CTS-D, joined Waveguide in early 2018 as a technology designer and now serves as a project consultant. 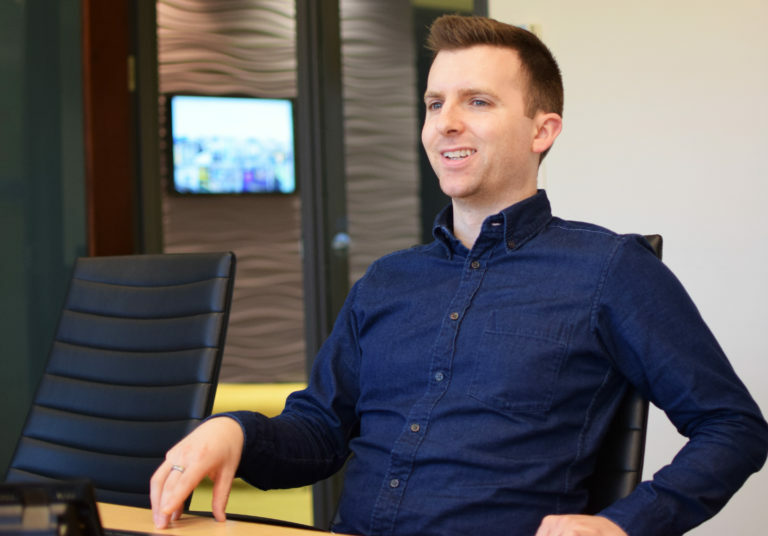 Prior to joining Waveguide, Jason served as a project design manager for a communications design firm in Canton, Massachusetts. While there, Jason worked on higher education projects at Harvard University, Boston University and Tufts University School of Medicine, among others. He holds two Bachelor of Music degrees in recording arts and sciences and jazz saxophone performance, both from The Peabody Institute at Johns Hopkins University in Baltimore, Maryland. Jason jumped right into the flow with Waveguide, which was predictable. He’s the same guy who stepped on stage at Lincoln Center to perform on clarinet three months after he first picked up the instrument. He blows us away. Trying local cuisines from around the globe, traveling around the globe, looking at globes… Playing video and board games, and playing every instrument I can get my hands on. I love working with smart people who are excited about technology. I also love being surrounded by geeks and nerds, so it’s a win-win.